Raleigh, N.C. – Rose Kenyon, a partner within Smith Anderson’s Employment, Labor and Human Resources practice, recently spoke to insurance and risk management professionals at an event for the Eastern North Carolina Chartered Property Casualty Underwriters Association. Her presentation, entitled “Employment Claims and Litigation: Trends and Risks,” focused on trends in employment litigation and identified the types of employment claims that are increasing most rapidly. These claims present employers with the biggest risks and often trigger coverage under employment practice liability insurance policies. Rose Kenyon represents and advises management in all aspects of employment and labor law across a wide variety of industries and companies, both public and private. She is a frequent speaker on emerging employment and labor law trends. Rose has been recognized as a leading lawyer by Chambers USA: America’s Leading Business Lawyers (Labor & Employment), North Carolina Super Lawyers, Top 50 Women, among others, and been the recipient of the Women of Justice Award, Business Practitioner, North Carolina Lawyers Weekly. For more information, visit Rose’s bio at www.SmithLaw.com. Founded in 1912, Smith Anderson has grown to more than 120 attorneys and is the largest law firm headquartered in North Carolina’s Research Triangle area. We serve clients ranging in size from large public companies to emerging growth businesses, providing a full range of legal services to assist our clients in accomplishing their goals. The knowledge and experience of our attorneys makes us well-positioned to handle the litigation and business matters that our clients face. 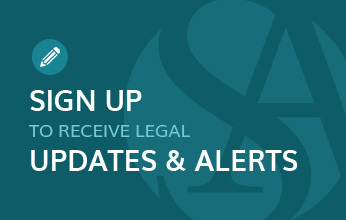 For more information, please visit www.SmithLaw.com.